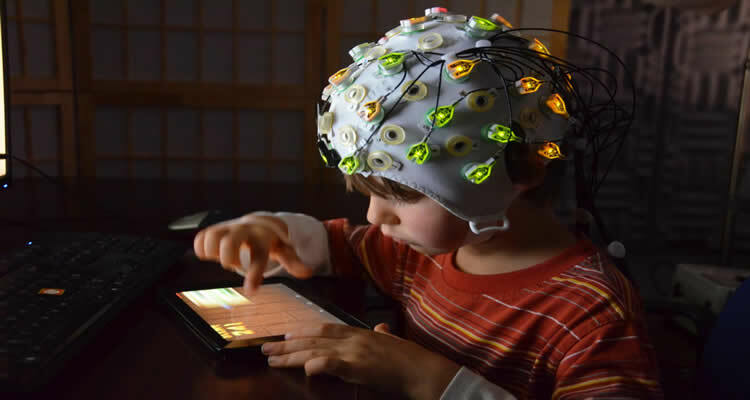 Children were monitored with EEGs while watching animated characters perform prosocial and antisocial behaviors, and later participated in a task measuring generosity. Credit Jean Decety/University of Chicago. Researchers at The University of Western Australia have found that brain stimulation may help retrain unhelpful cognitive habits associated with anxiety and depression. The paper was published this week in the international journal Biological Psychiatry. Methamphetamine users are three times more at risk for getting Parkinson’s disease than non-illicit drug users, new research shows. Researchers have developed new technology that can assess the location and impact of a brain injury merely by tracking the eye movements of patients as they watch music videos for less than four minutes, according to a study published in the Journal of Neurosurgery. Spending less time in slow-wave or deep sleep is linked to the loss of brain cells that can lead to dementia, a new study finds. Scientists have discovered a new signal pathway in the brain that plays an important role in learning and the processing of sensory input. New UCLA research indicates that lost memories can be restored. The findings offer some hope for patients in the early stages of Alzheimer’s disease. What is it like to have your brain scanned?